The exponential growth of data-enabled services in India over the past decade has bought in its wake concerns that occupy a wide spectrum extending from user data theft to data sovereignty concerns arising out of sensitive data residing on data servers based out of geographical boundaries of India. Recent policy papers released on regulating Over the Top (OTT) applications by TRAI and the draft National Encryption Policy by DeitY have opened vibrant public debates around issues of net neutrality and government control over encrypted communications. There is now a general consensus that policies relating to the data ecosystem need to be product agnostic and focus on streamlining processes instead. 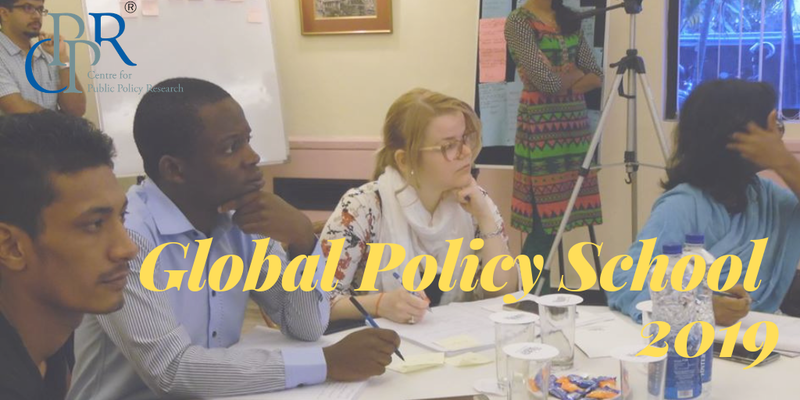 This Policy Brief is winning policy brief of the CPPR-Atlas Public Policy Challenge 2015. The winners of the CPPR Policy Challenge, Ranjeet Rane and Mathew John, competed against 68 other participants from across India. The 10 top participants were shortlisted for a training workshop in Kochi, Kerala. And after submitting reworked drafts, each emerged as First and Second prize holders respectively.